Categories: Decor, Newly Arrived. 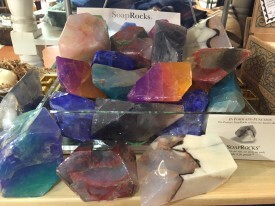 Tags: Soap, Soap rock, soap rocks. 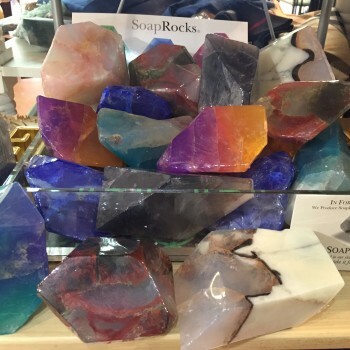 Yes, soap rocks are beautiful in all the various gemstones of the earth. Wonderful gifts or in your guest bathroom, they are great conversation pieces and lasts a long time retaining the original colors.